As some of you may already know, Brandon loves books. I received the board book called Baby Baby Baby! written by Marilyn Janovitz. The book is released October 1, 2010 and published by Sourcebooks Jabberwocky. Bitsy bouncy baby on a bumpity lap Mommy's little baby likes to Clap Clap Clap! This giggly, bouncy story perfect for babies and their families! In this adorable story, little baby does various activities with each member of the family (Mom, Dad, Grandma, Grandpa, Kitty, and Puppy). Then it's time for bedtime hugs and kisses! 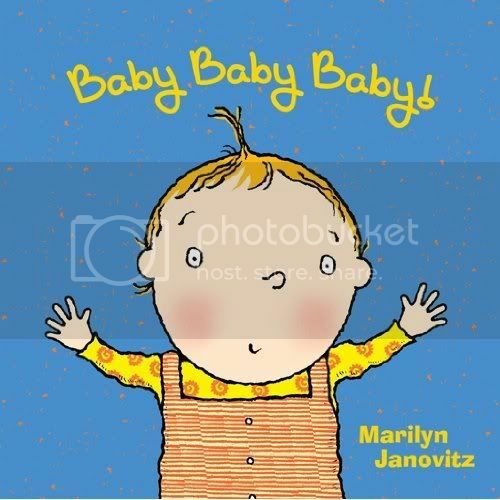 Entertaining and lively text coupled with adorable and engaging art by author/illustrator Marilyn Janovitz makes this the perfect book for babies and the people who read to them! Marilyn Janovitz is the author/illustrator of over a dozen children's books, including Can I Help?, Is It Time? and What Can Be Keeping Santa?. She lives in New York City and is a former antiques dealer. She is also an assemblage artist whose works have been featured in advertisements and on textiles. Visit her website at marilynjanovitz.com. BUY IT The board book is available for purchase directly from Sourcebooks online store or on Amazon.com. 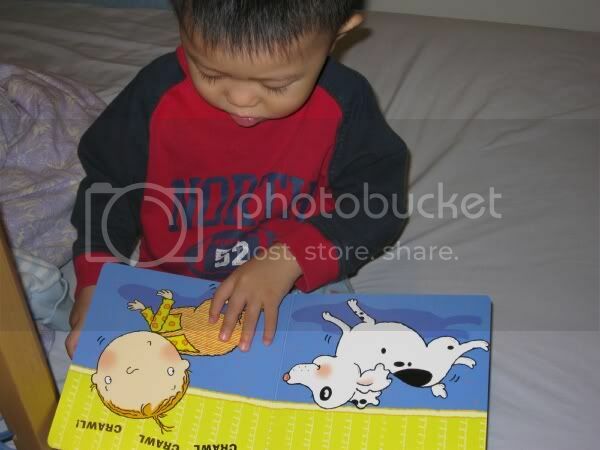 One (1) lucky reader will have a chance to win a copy of the mentioned board book for your little one. Chosen winner will be selected via Random.org. Winner will have 48 hours to respond to winning email. 1) Visit the website at http://www.sourcebooks.com and tell me in the comment below what other children's book that interests you. Contest is open to Canada and US residents. Contest closes November 1, 2010 11:59pm (PST). Disclosure: I received a copy of the board book from Sourcebooks at no charge in exchange for a review of my opinion. The opinions expressed are my own personal and honest thoughts. No other compensation was given. i like the baby journal. I love the 13 days of halloween book. I like Jen's REviews and giveaways on fb. I like The Art of Jennie Yuen on fb. I'm also interested in their sea of bath book.